If you are noticing strange sounds coming from your ac unit, it might be time for Magnolia AC Repair. 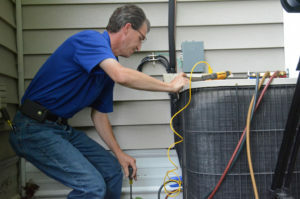 Keeping your air conditioning unit running in good condition is vital for your home. And is important to have your AC repaired if you are experiencing any problems. Avoiding AC problems could be hazardous and lead to you sleeping uncomfortably at night. Some homeowners are often afraid to have Magnolia AC Repair come into their home, because there is this bad stigma around repairing AC units. That the costs are too high and costly. And will try to repair any problems they see themselves. But, that is not the answer. Often, these DIY repairs or projects do not work out well and cause even bigger problems to your AC unit. Which is why Magnolia AC Repair is needed sooner rather than later. If you are looking for Magnolia AC Repair, you can contact Houston Admiral Air Conditioning and Heating. We have been operating in Texas for over 50 years. We understand that AC repairs can be hard and can happen at any time. Which is why we offer 24/7 service, without costing you a fortune. Because seeking a professional to repair your AC unit will not only save you time and money. We can complete your repair fast and efficiently because our technicians are so skilled. We can also save you money by regular inspections. During these inspections we can catch early signs of damage, before it becomes an expensive repair or replacement. Magnolia AC Repair, is here to make sure that your AC is running properly. And your repairs are taken care of efficiently and cost efficient for you. So, stop trying to DIY your AC unit and give us a call today to help you sleep better at night.